Four weeks into a new Basic Payment Scheme year and Scottish Government has failed to provide satisfactory updated guidance to Scottish farmers on greening and has done little to remove the unnecessary gold-plating it has created, says NFU Scotland. Compliance with greening measures, which account for approximately 30 percent of available support under new CAP schemes, has been extremely challenging for Scottish farmers because of Scottish Government’s insistence in gold-plating certain European requirements. At the AgriScot event in November 2015, angry farmers left the Cabinet Secretary Richard Lochhead in no doubt about their thoughts on Scottish Government’s greening bolt-ons. A meeting held in December with Scottish Government officials did bring some small improvements but these – and other improvements being sought by NFU Scotland – have not yet been reflected in its guidance. That lack of up-to-date guidance is proving hugely frustrating and challenging for producers as ‘greening’ elements of the new Basic Payment Scheme (BPS) year opened on 1 January 2016. 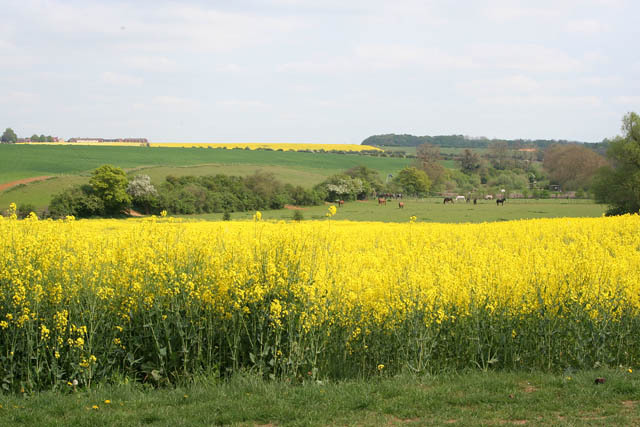 Land selected to be used for greening purposes as field margins or buffer strips needed to be out of production as of 1 January. Land to be used as fallow needed to be taken out of production by midnight on 14 January. Of immediate concern for grassland farmers are Scottish Government plans to introduce further gold-plating and force them to produce an annual nutrient plan for fields of permanent grassland if they are to secure the greening element of their support payments. This would involve recording and specifying planned inorganic nitrogen fertiliser and lime to be applied to all fields of permanent grassland claimed under BPS. The plan would need to be completed annually and be made available as part of inspection and validation processes. The whole issue of greening rules, and their detrimental impact on Scottish growers, will be discussed further when NFU Scotland’s Combinable Crops Committee meets at head office on Thursday (4 February). NFU Scotland President Allan Bowie said: “The Scottish Government has banged on about how green Scottish agriculture already is yet here they are imposing additional requirements on our farmers. “While claiming to support simplification, the latest threat of asking all grassland farmers to provide a nutrient plan is nothing to do with equivalence – it is pure and simply gold-plating. Nutrient budgeting may make good sense and promote efficiency at farm level but by making it statutory, the Cabinet Secretary would be wielding a big stick rather than using alternative voluntary approaches, such as the rural development programme, to promote the benefits that nutrient budgets can deliver. “Since AgriScot, when the Cabinet Secretary could have been in no doubt about how Scottish farmers felt about his Scottish-only demands, we have had discussions with his officials in a bid to strip out gold-plated greening rules. While we believe we have agreed some improvements, it is frustrating and confusing that four weeks into the new scheme year, updated guidance has not been provided. • Nitrogen Fixing Crops (NFC) grown to meet Ecological Focus Area (EFA) requirements. Scottish Government is imposing a further gold-plating to require farmers, no matter how small their area of EFA NFC, to grow two such crops with one taking up no more than 75 per cent of the NFC EFA area. If introduced that would give farmers complications of having an additional crop (planting, agronomy, harvesting, storage and marketing) which in many cases is then too small to be effectively marketed. • NFU Scotland understands that changes to EFA NFC rules for 2016 will not require each EFA NFC crop to be ‘surrounded’ by a field margin. If confirmed in the Guidance that is far more sensible – but the benefit of the amendment is undermined by the second NFC crop rule which is expected to rule that option out for most Scottish farmers. • The need for incorporation of EFA green cover has been made mandatory. Green cover rules need to recognise that the same environmental outcomes can be delivered via ‘minimum’ tillage or ‘no’ tillage systems. In those systems the plant material of previous crops is left to rot naturally, returning nutrients to the soil with minimum disturbance of the soil.